Take the hassle out of setting up your new appliance. Not only can we deliver your appliance, we can have one of Home appliances expert professional installers do the hard work. Recommended for free-standing dishwashers, washing machines and fridges requiring water feed. 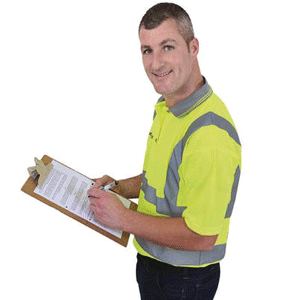 *Installations are subject to an on-site assessment before any work can commence. All installations are on a like for like basis regarding positioning, electrics and plumbing. We don't currently offer gas installation. Installation must be purchased with a delivery service. Prices may vary for selected large appliances. This product only covers the installation of 1 unit. For the installation of multiple units you must purchase additional installations. Home Appliance Plumb (1 unit) is rated 4.7 out of 5 by 25. Rated 5 out of 5 by Michelle Burke from Plumb number one Disconnected old appliance and even fixed the cupboard. Excellent service going above and beyond! Rated 4 out of 5 by Hye Uon from Very quiet machine Machine has all functions I was looking for and surprised with v low working noise. When I used it for the first time I had to check if it was running as I could not hear it! So far, very happy with performance, looks, noise levels. Can recommend. Rated 5 out of 5 by Carmel B from Bosch dishwasher Ordered online, delivered and installed within 2 days, absolutely delighted with the dishwasher and the service. There are lots of different washes compared to previous machines, I particularly like the short wash. Rated 4 out of 5 by Jayom from Machine had to be returned as door faulty but all ended well I bought the Dishwasher but unfortunately the door was faulty. Harvey Norman replaced it and reinstalled it immediately. Rated 5 out of 5 by Paudie from Exactly as described Working like a charm so far, exactly as described. The moveable cutlery holder is very handy.